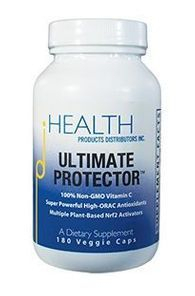 People who have Arthritis report that their symptoms have decreased after taking an Nrf2 activator. Following the testimonials are current research articles that report new information about the cause of Arthritis and how Nrf2 activators can be effective in treating it at the cellular level where it starts. Nancy Douglas: "Tom and I have been on the Vivix for 1 week and 2 days and after about 5 days Tom noticed that his ankles no longer hurt. He had broken them both as a youth playing sports. Tom is 65 andarthritis hit his ankles this year. He had to get up and take pain meds so he could sleep. After taking Vivix for just 5 days he no longer needs pain meds to sleep." Go to source. Talya: "Since using Protandim I've found that I'm less painful. I had problems with Arthritis in my fingers, and I have less of the almost stinging pain that I had in there. My lower back is much improved, and I've found with my work out I don't have the pains right afterwards. I don't wake up so stiff I can't move. I actually get to move and enjoy my life. I'd say I feel pretty even keeled. My husband feels the same way. He's noticed that he's feeling less pain, and he's feeling more comfortable generally. He's a doctor." youtube.com, search "Protandim"
Tim Meyer: "Over the years I have suffered from four Ruptured Discs, one failed back surgery, aching joints, fingers, wrists, elbows, knees, everything, and on a scale of 1-10, most days I was at a 3-6 pain level. My knees hurt so bad that I walked down the stairs sideways one foot at a time holding onto the railing. I spent a lot of time working from bed. I only slept 3.5 to 4 hours a night. I felt like I was in a fog. With poor eyesight I wear glasses. The army said I was legally blind. "My chiropractor asked me to try Protandim. He didn't tell me a whole lot about it except the science behind it at first, and he didn't tell me what to expect. He just said he wanted to see what would happen. I started taking it. Five days later I woke up to find I had slept nine and a half hours. It was the first time I had done that in a long time. I woke up feeling pretty refreshed. Normally I wake up spending hours in a fog. That was just amazing to me. On day eleven I noticed my knuckles weren't swollen and red any more, and my hands didn't hurt, and I noticed that my knees hadn't been hurting like they used to, and my elbows didn't hurt. "On day 31 I found that I was sleeping seven and a half hours a night. When I wake up I don't feel like I'm in a fog. I feel great. All during the day things seem to be clearer. A wrist that I broke when I was 14 years old used to pop and crack and snap. Well, it doesn't make a sound anymore, and it doesn't hurt to move it. On day 36 I noticed that I had dropped a few pounds. When I started off I was 195 pounds. On day 36 I was at 182. I am 6 foot tall. The 182 put me right in the center of the BMI for normal weight, where before I was overweight. I think I had been in a bit of depression also. On day 36 I noticed also things were brighter, I feel better, and I'm positive I was in a depression before. My joints no longer hurt and ache. I can walk up the stairs just fine. My pain level was a 3 to a 6 every day. Now it's a 0 or a one. I feel fantastic. I haven't felt this good for years. Harold Reynolds: "Many years I've had Arthritis in my hands. They were so bad I couldn't force my fingers down. I couldn't do anything with them. They were sore all the time. In about 4 weeks taking Protandim, I can now make a fist. No pain, it's gone. I'm feeling real good. I've had a lot of other experiences with Protandim. In April I went to the doctor for my annual physical. I went to have my lab work done. So I waited to find out what the results of that was. When the doctor come in he was just shaking his head. "He said, Harold, I don't know what I'm going to do with you. He says we just got the lab work back, and according to the lab your kidneys are functioning the same as an 18 or 19 year old. For an 81 year old man that's quite a difference there. He said your liver and all your organs inside are just like a young man. I said doctor, you know what's causing that don't you? He said after reading the material about Protandim, it's got to be that. He said nothing else I know of could slow down the aging process in a person like this has done for you. So it's just amazing, and I'll tell you I'm going to stay on it for the rest of my life." youtube.com, search "Protandim"
Cindy: "I'm taking Protandim because I want to be healthy and happy. I've noticed that I have a lot more energy, and my joints. I'd say they feel about sixty percent better. I didn't have real serious joint issues, but I'm 54. When I stand up and start to walk, I'm a little bit creaky. I've definitely noticed improvement there." youtube.com, search "Protandim"
John Woodman: Someone asked if Vivix could help with arthritis. My 82-year-old father hasosteoarthritis and was having a pretty severe pain in his one hand from it. After 3 days on Vivix, this pain is gone! Mindy W. I have heard of people with arthritis having miraculous results with Vivix. The other night I attended a meeting where a Distributor was relating a testimonial from someone who had the swelling in her knees reduce by three inches! Go to source. Fibroblast growth factor 21 (FGF21) ameliorates collagen-induced arthritis through modulating oxidative stress and suppressing nuclear factor-kappa B pathway. Yu Y1, Li S2, Liu Y1, Tian G1, Yuan Q1, Bai F1, Wang W3, Zhang Z4, Ren G5, Zhang Y6, Li D7. It has been demonstrated that circulating FGF21 levels are elevated in the serum and synovial fluid of patients with rheumatoid arthritis (RA). The aim of this study is to investigate efficacy of FGF21 for treatment of RA and the molecular mechanisms of the therapeutic effect on collagen-induced arthritis (CIA). Mice with CIA were subcutaneously administered with FGF21 (5, 2 or 1mg·kg-1·d-1), IL-1β antibody (5mg·kg-1·d-1), IL-17A antibody (5mg·kg-1·d-1) and dexamethasone (DEX) (1mg·kg-1·d-1), respectively. The effects of treatment were determined by arthritis severity score, histological damage and cytokine production. The activation of NF-κB was analyzed by Western blotting. We also detected the levels of oxidative stress parameters. Our results showed that FGF21 had beneficial effects on clinical symptom and histological lesion of CIA mice. Similar to antibody and DEX, FGF21 treatment alleviated the severity of arthritis by reducing humoral and cellular immune responses and down-regulating the expression of pro-inflammatory cytokines. FGF21 treatment also reduced the expression of TNF-α, IL-1β, IL-6, IFN-γ and MMP-3 and increased level of IL-10 in the spleen tissue or the plasma of CIA mice in a dose-dependent manner. Furthermore, FGF21 inhibited IκBα degradation and NF-κB p65 nuclear translocation and induced significant changes of oxidative stress parameters (MDA, SOD, CAT, GSH-PX and GSH) in the plasma. FGF21 exerts therapeutic efficacy for RA through antioxidant reaction and inhibiting NF-κB inflammatory pathway. This study provides evidence that FGF21 may be a promising therapeutic agent for RA patients.